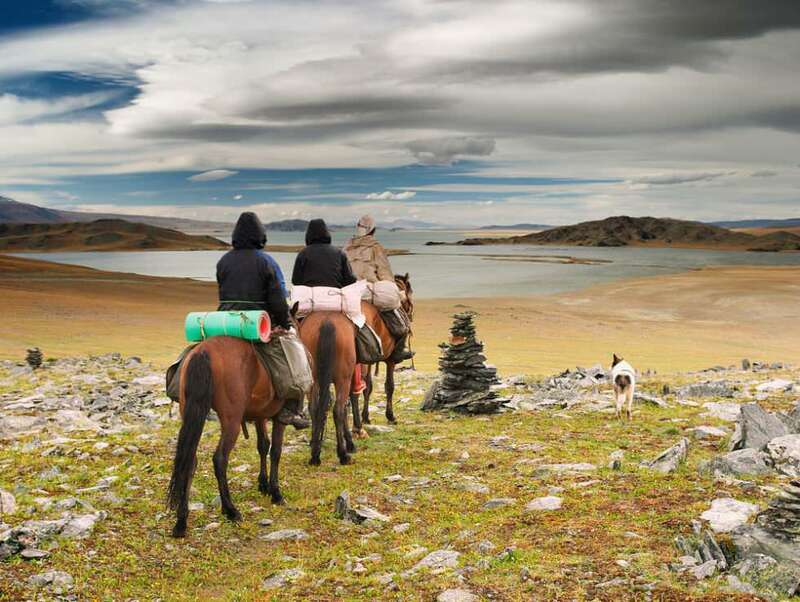 Because tourism is still in its infancy in the country, Mongolia can sometimes be a bit challenging to travel around. In fact, many travel companies even in Ulaanbaatar still don’t have a web presence! But don’t let that deter you from taking the trip of a lifetime. Chances are, you’re going to arrive in Ulaanbaatar, the capital city, whether you’re flying or coming via the Trans-Mongolian train from Moscow to Beijing. And Ulaanbaatar is a great place to start! Not only will you find a plethora of museums, monasteries, and other interesting places to visit, but it can also make a great base for planning the next stage of your Mongolian adventure. I recommend choosing a reputable hotel or hostel to stay in for at least the first couple nights of your trip so that you can familiarize yourself with the city and culture prior to jumping out into the countryside. Again, tourism is still in the growth stages in Mongolia, so you may have a difficult time contacting guides and arranging train tickets or other transportation until you arrive on the ground—and companies that will help you arrange these things ahead of time will generally charge you a hefty fee for the service. But never fear: your accommodation in Ulaanbaatar should be able to help you contact English-speaking guides and arrange further details of your trip. Ulaanbaatar, Mongolia © Shutterstock, Inc.
Ulaanbaatar, Mongolia © Mark Agnor | Shutterstock, Inc. When I arrived to teach in Mongolia, I knew approximately four things about the country other than its geographic location: horses, nomads, Ghengis Khan, and that Ulaanbaatar is, on average, the coldest capital city in the world. Of course, that wasn’t going to fly with my students and their fierce national pride—it wasn’t long before I knew more about the culture, language, history, and traditions than I ever thought I might know! That said, I recommend you start your trip at the National Museum of Mongolia, which is conveniently located in downtown Ulaanbaatar. It’s Mongolia’s largest museum, and it will walk you through the history of the area from ancient times all the way up through the present. The world’s largest statue of Genghis Khan, Mongolia © Mark Agnor | Shutterstock, Inc.
A statue of a Mongol warrior at the great Equestrian Monument of Genghis Khan, Mongolia © RPBaiao | Shutterstock, Inc. The world’s largest statue of Genghis Khan, Mongolia © Shutterstock, Inc.
Mongolian gers, or yurts, are the traditional nomadic style of housing in the country—but plenty of people still live in them today! Even on the edges of Ulaanbaatar, you’ll find sprawling ger districts full of families who want to live in the classic style while still enjoying all the conveniences of life in the capital city. Staying in a ger during your stay is definitely an experience that you won’t want to miss out on. If you’re getting out into the countryside at all, you’ll find that many families will graciously open their homes to travelers—just talk to your guide about this. But even if crashing with a family doesn’t appeal to you, there are plenty of tourist ger camps where you can experience a mix between the classic yurt experience and a standard hotel stay. If your trip is going to be based in Ulaanbaatar, I recommend checking out ger camps in nearby Terelj National Park. Otherwise, I recommend heading down to the Gobi Desert and staying in the Three Camel Lodge or one of the other ger camps there amongst the sands: nothing is quite like staying in a tent in the middle of the desert! Inside a Ger in western Mongolia © Katiekk | Shutterstock, Inc.
Ger, Mongolia © Shutterstock, Inc.
Mongolian family near Ger © Emily Marie Wilson | Shutterstock, Inc. Speaking of the Gobi Desert, this is one part of Mongolia that’s not to be missed if you’re going to be getting out into the countryside. It’ll take you a little while to get to—even if you take the train, you’ll be looking at an overnight or full-day journey! But it’s well worth the trip: there’s nothing in the world that’s quite like these vast expanses of no-man’s land. I recommend basing yourself in the small city of Dalanzadgad so that you can easily get out to see three of the main attractions of the Gobi, including the flaming cliffs of Bayanzag and dunes as far as the eye can see in Khongriin Els, although there are plenty of other places to explore as well. Even in the winter, the Gobi Desert can be an experience. Although temperatures typically don’t drop as low as in other places in the country, it can still get quite chilly—even so much so that you might see camels with shaggy winter coats walking around in the snow! Again, I recommend checking out your options for tour companies so that you can cover the most of what the Gobi has to offer—but note that many of these companies don’t operate during the winter due to the decreased level of tourism in the country. Hike in Gobi Desert, Mongolia © Galyna Andrushko | Shutterstock, Inc.
Camels in Gobi Desert, Mongolia © Jakub Czajkowski | Shutterstock, Inc.
Beautiful view of the dunes of the Gobi Desert. Mongolia © Anton Petrus | Shutterstock, Inc.
Flaming Cliffs (Bayanzag) in Gobi Desert, Mongolia © Jakub Czajkowski | Shutterstock, Inc. Although many Mongolians claim to be atheists, Buddhism is still the predominant religion in the country, and you’ll see monks walking around Ulaanbaatar and most of the other major cities. And the country’s impressive monasteries can be quite interesting to visit. But why stop at just visiting them for a brief period of the day? Manjusri Monastery, located only a short distance to the south of Ulaanbaatar in Bogd Khan National Park, is a great choice for this. You can hike out to the monastery, explore the ruins of the monastery, and then spend the night in their dormitory for some quiet contemplation and zen relaxation time before you hike out in the morning. As with many things with Mongolia, you’ll have a difficult time finding information about staying over in monasteries online (especially since many monasteries don’t have the luxury of internet! ), but if you hire a guide, they should be able to help you plan your stay; otherwise, your best bet is to show up at the monastery of your choosing and ask about staying—very few will turn you away. The Aryabal Buddhist temple at the Terelj National Park at Twilight, Mongolia © Shutterstock, Inc.
Amarbayasgalant Monastery in northern Mongolia © Yury Birukov | Shutterstock, Inc. The Gandantegchinlen or Gandan Monastery in Ulaanbaatar, Mongolia © Shutterstock, Inc. Statue in a Buddhist temple in Ulaanbaatar, Mongolia © Shutterstock, Inc.
Mongolians are famous for their horses, and riding horses across the expansive, unoccupied Mongolian countryside is a real treat. In fact, if you wanted to, you could spend days out there on your own seeing no one except the other people you’re traveling with. Should you choose to undertake a horseback riding adventure around the country, you’ll probably want to hire a guide: typically travelers will find that buying a horse and then selling it after their journey is a cheaper option than renting one for the whole time. They can also help you out with finding accommodation for the night, especially if you’re looking to stay with families in their yurts during your trip—but you also don’t need permits to camp in Mongolia, so you could just bring your own tent and pitch it wherever you have a good view of the stars! Horse riders in Mongolian wilderness © Pichugin Dmitry | Shutterstock, Inc.
Horses in Mongolia © Pichugin Dmitry | Shutterstock, Inc. Horse rider in Mongolia © Katiekk | Shutterstock, Inc. I always like to try the local brews when I travel; no matter where you go, you’re sure to find something special that you wouldn’t find back home. Airag, or fermented mare’s milk, is a drink that you won’t find in most parts of the world. The taste? Something between normal alcohol and that taste that coats your mouth when you stand next to a horse for a day. As I said, something of an experience—but it’s considered rude to turn down a sip if you’re staying at a ger and the family begins passing around a bowl of the stuff. Be careful, though: it’s got an extremely high alcohol content that can definitely catch a person unawares! Not interested in trying airag? There are plenty of other options. Mongolians drink mostly lager beers, the famous ones being Borgio and Altai Gobi. They also make a maltier, darker beer called Khar Khorum which was one of my personal favorites. And if you’re looking for something a little stronger than beer but less strong than airag—remember Mongolia’s former Soviet ties! You can find good vodka for incredibly cheap prices in local shops. One thing to note, though: you can’t buy alcohol on the first of every month in Mongolia. As previously mentioned, Ulaanbaatar in the winter is the coldest capital city in the world—but that doesn’t mean the year-round temperatures of Mongolia are terrible! In fact, Mongolia can get quite warm during the summer, and locals love nothing more than getting out into the countryside on the weekends and taking a dip in the pure waters of Khovsgol Lake. Even if you’re not interested in swimming, there are other options in the area, including fishing, kayaking, and hiking. And the lake is easy to get to: you can fly or bus directly from Ulaanbaatar to Mörön, one of the main cities along the lake. I recommend taking the bus instead of flying so that you really get a chance to see the Mongolian countryside passing by outside the window, but either way, you’re in for some picture-perfect views once you arrive at the lake. Khovsgol Lake, Mongolia © Shutterstock, Inc.
Ice Fishing at Khovsgol Lake, Mongolia © Nikitin Victor | Shutterstock, Inc.
Khovsgol Lake, Mongolia © Banlop Kamcharoen | Shutterstock, Inc. If you really want to get immersed in Mongolian culture, there’s no better way to do it than to attend one of their festivals, of which there are many. One of the best-known and largest ones is Naadam, which is held every year from the 11-13 of July. The festival is lauded as the “second-oldest Olympics” in the world, and Mongolians are fiercely proud to see their favorite athletes compete. The three main events of the festival are archery, horseback riding, and wrestling, but there are plenty of other things happening, including traditional dance. One of the best things about the festival? You’ll have ample opportunity to try all sorts of different traditional Mongolian foods! Another incredible festival to experience is the Bayan-Ölgii Eagle Festival, held every year during late September and/or early October. The falconers that you see during this festival are not of Mongolian descent originally and instead came from neighboring Kazakhstan during a time of prosecution, but they’ve lived in Mongolia for decades now and their ways have been adopted by Mongolians. There are a number of different events that take place over the course of the festival, and if you’re lucky, you might even have a chance to hold one of the amazing golden eagles yourself—which makes for a pretty cool picture to email your family and friends! Eagle hunters lined up on their horses © Katiekk | Shutterstock, Inc.
Eagle hunter riding a horse with his Altai Golden Eagle © Katiekk | Shutterstock, Inc.
Festival in Mongolia © Katiekk | Shutterstock, Inc.
Mongolia may not be the first place that comes to mind when you’re thinking of ski destinations, but although there is only one real ski resort, a tiny place near Ulaanbaatar, the country is home to some impressive mountain ranges and clean, untouched lines. Don’t believe me? Check out the 2013 short film “Camels are Never Cold” below for inspiration. Again, you’ll want to hire a local guide to help with transportation and other logistical details, and you’ll probably want to bring along a few friends so that you can split the costs. But this can definitely be an amazing way to get off the grid and do some real fresh lines during the winter. Ger in the snow © Chantal de Bruijne | Shutterstock, Inc.
Mongolian winter landscape © Julia Baturina | Shutterstock, Inc.
Mongolia, although still developing its tourism industry, is an amazing place to visit, with a ton of different activities that are sure to give you a unique travel itinerary. Have you ever been to Mongolia? Share your comments, stories, or questions in the Comments section below!